Susan Johnson (seen with her husband, Jerry) discussed her end-of-life concerns with her children. Susan Johnson was never afraid to talk about death. But whenever she tried to discuss her end-of-life wishes with her children, both in their 40s, they deflected the topic with jokes. And her primary care doctor never raised the issue. Then, a few years ago, a surgical complication left Johnson hospitalized for months. She felt death close by, and it scared her. When she recovered and returned home to Salem, N.H., she invited her son and daughter for an Italian dinner, followed by a mandatory conversation — one with no jokes allowed. These are some of the toughest conversations a person can have, and many never get there. For Johnson, a serious illness emboldened her to break through the barriers. She told her family that if she were incapacitated, she did not want to be resuscitated. Advocates for better end-of-life care are hopeful that such conversations will happen sooner, and more frequently, when a new Medicare rule takes effect. Earlier this month, the federal health program for the elderly proposed to start paying physicians, nurse practitioners, and physician assistants to talk with patients about their end-of-life wishes. Details of the plan are expected later this year, with possible adoption next year. A proposal by Medicare to reimburse doctors for end-of-life conversations with patients deserves support. “It’s really an important first step. It shows we value these conversations,” said Dr. Jennifer S. Temel, a Massachusetts General Hospital oncologist, who often treats terminally ill patients. But advocates agree it will take much more than Medicare reimbursements to overcome the obstacles to end-of-life conversations. Both patients and doctors are reluctant to talk about death, and even the willing are unsure when to start. And medical professionals get little training on how to conduct such conversations. But as Johnson learned, talking to a doctor can make all the difference. The 67-year-old former lab technician thought she was all set after she talked with her children and filled out a form that said “do not resuscitate.” But then she had an allergic reaction to medication and doctors needed to temporarily place a breathing tube. That would have violated her directive. Her husband, Jerry, had to sign forms to authorize putting her on a ventilator. Dr. Lachlan Forrow, director of ethics and palliative care at Beth Israel Deaconess Medical Center , said some patients have the opposite experience as Johnson. They say they want life-sustaining treatment without understanding what that might entail: breathing machines, feeding tubes, an array of painful and invasive treatments. Patients struggle, too. A survey in 2013 found that 9 in 10 Americans think it’s important to discuss their end-of-life wishes but just over a quarter had done so. Ellen Goodman, a former Globe columnist who founded the Conversation Project to promote end-of-life planning, sees change afoot. The project’s Conversation Starter Kit, which gives tips to patients on talking to loved ones and medical professionals about their wishes, has been downloaded 200,000 times. The proposed Medicare payment is further indication of cultural change, Goodman said. “Let’s be sure,” she cautioned, “that it doesn’t become a quick and dirty checklist, that it becomes a thoughtful conversation.” She predicted that the Medicare rule would lead to new efforts at training. Some of these efforts are already underway. At least 136 medical schools include end-of-life care in a required course and 94 in elective courses, according to the Association of American Medical Colleges. Since 2012, all physicians in Massachusetts, regardless of specialty, are required to take two hours of instruction on end-of-life issues, when obtaining a license and before license renewal every two years. A collaborative of medical professionals called Ariadne Labs has developed a program to guide doctors in communicating with seriously ill patients. Ariadne is led by surgeon-writer Atul Gawande, author of the best-selling book, “Being Mortal: Medicine and What Matters in the End.” Ariadne’s Serious Illness Care Program helps doctors identify patients who are likely to die within a year and provides guidance on how and when to discuss end-of-life preferences. The group plans to test the program in 20 health care systems across the country, starting in September. Harvard Vanguard Medical Associates, a large group practice, also has recently been offering training. Doctors are advised to ask themselves this question about each patient: Would you be surprised if this person died within the next year? “If the answer is no, then you really need to start asking about end of life,” said Dr. Holly Thomas, a primary care doctor and regional medical director for the group’s parent, Atrius Health. The goal, Thomas said, is to avoid facing such tricky decisions amid a crisis. But there is disagreement about the right time to start the talk. The Conversation Project urges an early start, when a patient is healthy, to establish values and lay the groundwork for the more detailed conversations that occur with serious illness. Others say there’s little value in such talks before a person is ill and can envision what lies ahead. He has created a series of videos that make the options less abstract. They depict a patient on a ventilator, immobilized and invaded with tubes and wires, and show the pummeling involved in cardiopulmonary resuscitation performed on a dummy. About 200 health care organizations, such as hospitals and hospices, have licensed the videos, intended to be shown as part of patients’ conversations with doctors, he said. 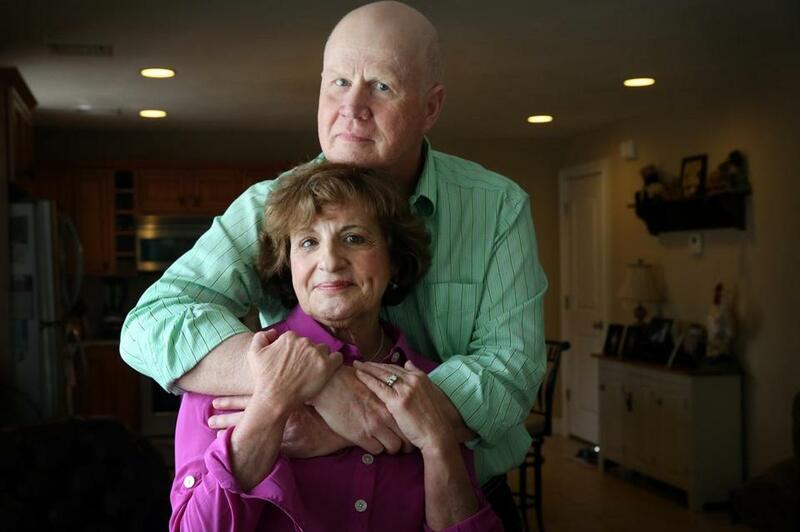 Medicare reimbursement for end-of-life talks will probably bolster two recent changes in Massachusetts law. Doctors can now consult with patients to fill out a MOLST — Medical Orders for Life-Sustaining Treatment — form, which details the level of medical interventions wanted by seriously ill patients. The form becomes part of the patient’s medical record. Additional new rules require hospitals, clinics, and nursing homes to distribute brochures about end-of-life options and instruct nurse practitioners and physicians to counsel those nearing death. But talks and forms are often insufficient to stop the gears of a system built to repair and cure. A study last year found that the number of people with advance directives increased from 47 percent in 2000 to 72 percent 2010, but that had little effect on how many ended up in the hospital, and how many died there — an end few would choose. Maureen Bisognano keeps this photograph of her brother Johnny, who had Hodgkin’s disease and at 17 chose to spend his last days at home with his family. “Most of the things that the health care system does is driven by forces other than what patients themselves want,” said Forrow, of Beth Israel Deaconess. Maureen Bisognano, a nurse who is president of the Institute for Healthcare Improvement, learned early in her career the importance of knowing what patients want. Immediately, the doctor lifted the sick boy from his bed and carried him to his sister’s car. Johnny went home, and died there a few weeks later, surrounded by his parents and eight siblings. That was 1976. 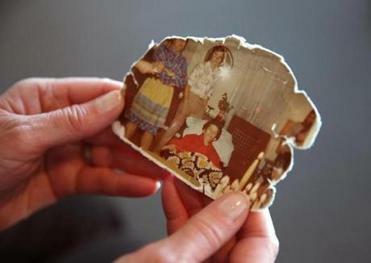 Just over three decades later, Bisognano’s mother suffered a massive stroke at age 78. Patricia Marie McEachern had already discussed and written down her preferences at the end of life. Though she never regained consciousness, her family knew what she wanted. They had the tubes and lines detached, and brought McEachern home to Milton. Her children and grandchildren took turns taking care of her throughout her last days. “We were all giving back to her,” Bisognano said.